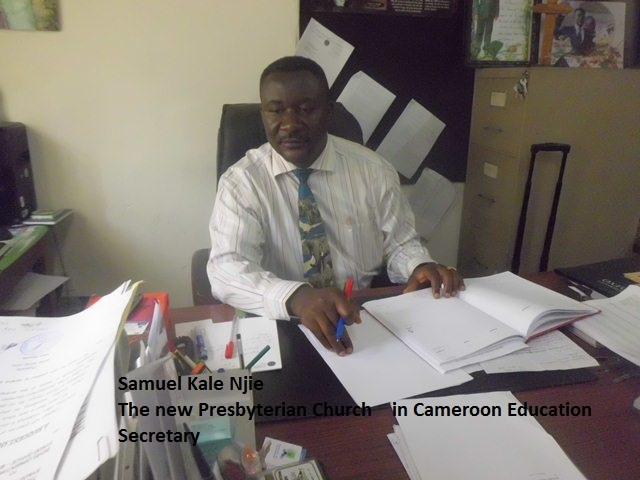 The Education Secretary of the Presbyterian Church in Cameroon (PCC) is no other person than Mr Samuel Kale Njie. The Moderator of the PCC, Rt. Rev. 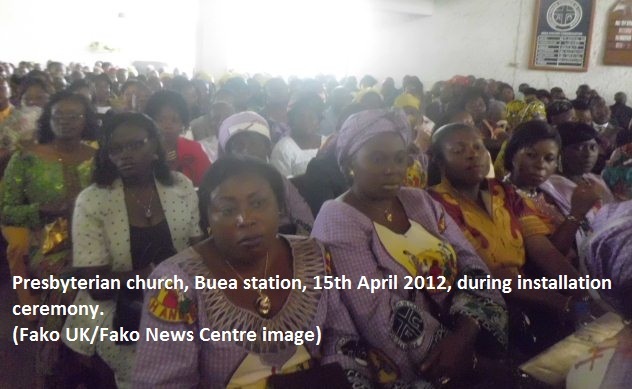 Dr. Festus A. Asana, inducted Mr Samuel Kale Njie along with two other Heads of Departments of the PCC on Sunday the 15th of April 2012 with a Divine Church Service at the Presbyterian Church, Buea Station. While inducting Kale Njie (Education Secretary), the Moderator also called on the National Communication Secretary Rev. Mokoko Mbua Thomas who doubles as the acting Scholarship Secretary, and the Health Service Secretary, Dr. Simon Chifu to work with diligent, all Christ-Conduct and love to all people with the supreme authority of God. The head of the PCC reminded the newly-installed that they should use their services to transmit the love of God in Christ to all people. According to Rt. Rev. Dr. Asana, it is by serving the people with humility and faithfulness that the services they offer can become reliable. 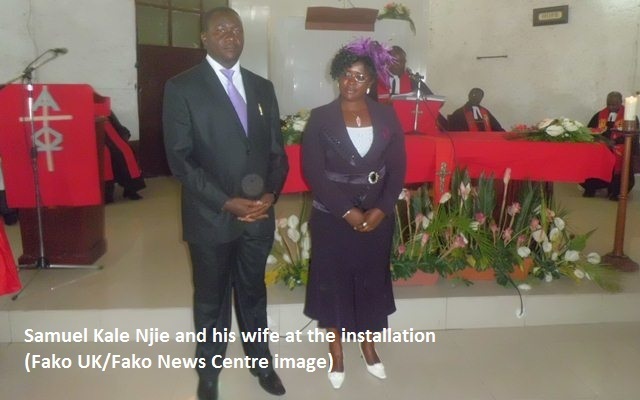 Without bordering the congregation with theological concepts, he employed Mola Kale Njie, Rev. 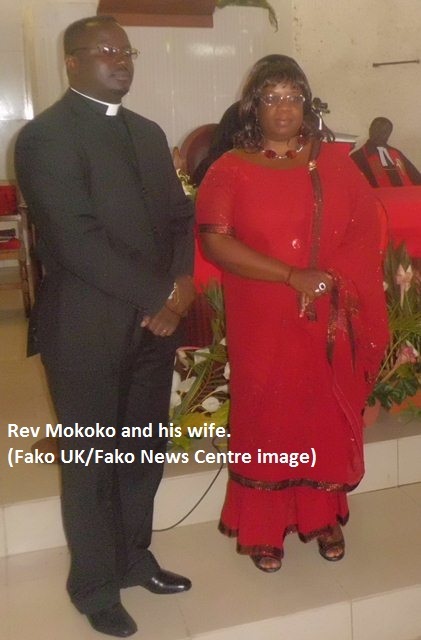 Mokoko and Dr. Chifu to rely on God’s Grace so that they can contribute their little to the mission of the church which is to serve humanity with love and compassion. 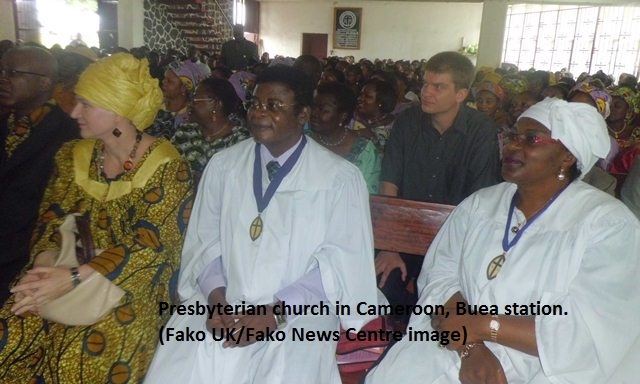 Talking to Fako News Centre on his role as the Executive Head of the Education Department of the Presbyterian Church in Cameroon, Mola Kale Njie disclosed that his function is to coordinate all Primary and Secondary Schools managed by the PCC. He is in charge of transfers and recruitments of staff members of this department after studying files tabled to him with the due permission of the Moderator who is the Proprietor of all schools and the Synod Clerk who is the Chief of Staff. He moves round every year to do an evaluation of schools in a board of governors meeting. He disclosed that the Presbyterian Education Authority sits once in an ex-co in June and in a plenary still in June to do staffing and transfers. As the head of the education service, Mola Kale studies and reacts to sanctions to teachers and students copied him. He also examines and approves the running of budgets of schools after monitoring them in close collaboration with the financial secretary. Other duties like examining and approving proposed school projects in collaboration with the accounting officer also rest on the shoulders of the Education Secretary. That is why he must be aware of whatever events that are being organised in schools. Being aware that their education system is purely ecumenical, an affordable form called holistic which is deeply rooted in high standards, moral and high academic output, Mola Kale maintains that they strive to maintain discipline at all levels of campus life since most of their secondary schools are boarding. He noted that they dismiss even students in national examination classes on the eve of examinations when they fail to conform to the rules and regulations. He however stated that the education authorities of PCC discipline students with love because their mission is out to reform and not to deform. To ensure the moral and spiritual up-bringing of their pupils and students, the PCC mission has instituted chaplaincy and counselling mechanisms in their schools so that they can monitor and guide young scholars against peer pressure and other forms of deviant behaviour. To keep their students afloat in the honour role, the Education Secretary said that they have instituted awards to scholars, schools and teachers to spur competition amongst them. To this effect they award Certificates of Meritorious Services to teachers whose subjects score a 100% conservatively in national exams. Working in close collaboration with the parents of students, they also organise pedagogic counselling and retreats with students in examination classes to build up their psychology before examinations. 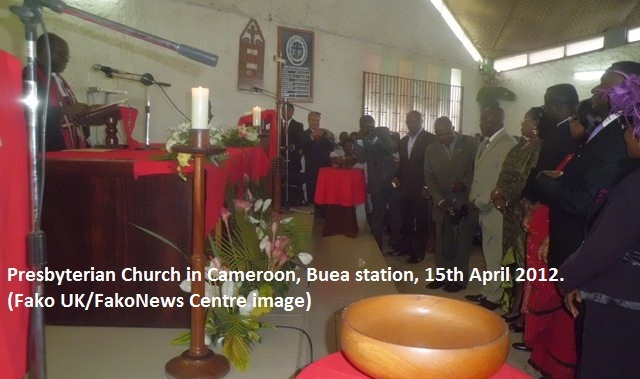 Having the same education set-up, Mola Kale Njie noted that they network with the education service of the Cameroon Baptist Convention (CBC) and the Catholic Mission in Cameroon to share common views and ideas on how to improve on their output. Even on personal bases, Mola Kale Njie explained that he has shared views on the management of the conducts of students in examination classes with principals of the above institutions while he was still a principal. He however disclosed that they have a direct partnership in the in-service training of teachers with the CBC in Bamenda where they impact pedagogic knowledge and skills to their teachers. This programme (ehich) is sponsored by the German Development Service of the German Embassy in Cameroon, which has trained successive badges of teachers in 1 and 2 year courses. He also does exchange visits with Baptist schools and visits the office of the Education Secretary of Baptist to discuss and share related views. Among several post of responsibilities Mola Kale Samuel Njie has held since his recruitment into the Education Department of the PCC, he has been the Vice Principal of at least three schools, Principal of Presbyterian Girls Secondary School Limbe and the Principal of the Presbyterian Comprehensive Secondary School Buea before his recent appointment. Mola Kale Njie is married and a father of five. 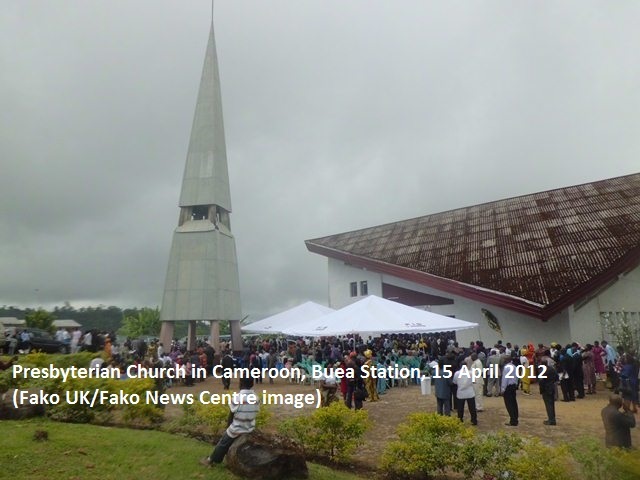 He hails from Mokunda village in Buea. He studied at the University of Yaounde 1 and holds other post graduate certificates.